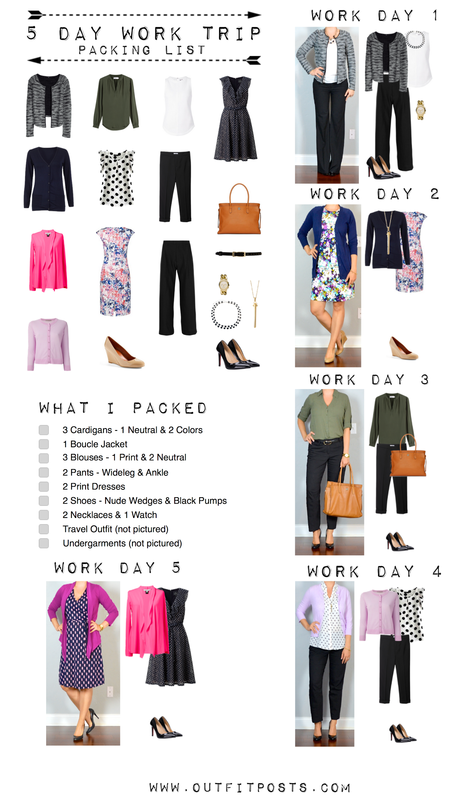 Here’s consolidated graphic with the outfits & a checklist of what I packed & wore on my recent 5 day work trip to South Carolina to put on configuration workshops at a client site. It was nice & warm in SC – so it’s all end of summer work-wear. All of these outfits have appeared on the blog before because I find that wearing what I already know looks good, fits well & is comfortable helps my peace of mind in already complex enough situation of traveling for work. I love this mix! Living in SC myself I get the warm weather comment. We still have a few more months of it! All of these outfits would be great! Just love them. You make it look so easy. I'm getting better because of posts like this so thank you!! 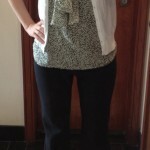 Random question, similar to the commando questioners…do you change out of work clothes after work? If so will you add those clothes into the mix next time please? Like in a separate category? Unless that falls into the undergarments area, then you can ignore me. 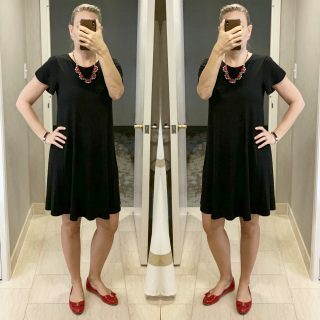 I agree that you should keep your outfits simple and know what works – a work trip is not the place to experiment with different looks or be frazzled when something doesn't work. Been there, unfortunately! Great advice! Loved the post, your suitcase/travel wardrobe posts are my favorite. But I promise next time – or even if I get a minute to update this one – I will make the checklist graphic include everything! If you search the blog I've done a few 7X7 posts – those same spot on to what you're asking. ooo, super helpful. thanks! 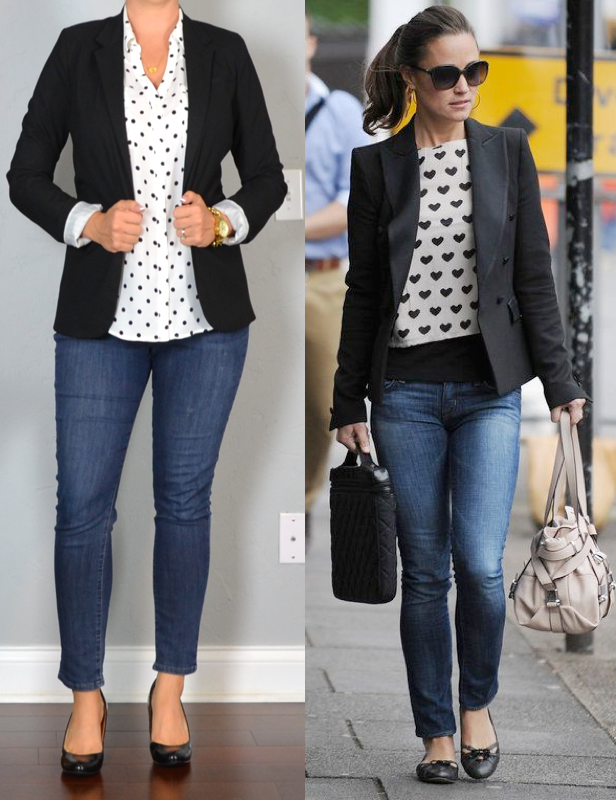 can you do one for fall/winter work wear? seems most are for warm weather and casual. I love these and your one suitcase posts! Love all of those looks! 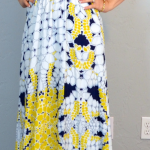 Not sure if anyone has asked previously but do you ever dress for pumping at work (if you do, I know you've said in the past that you breast-feed/nurse)? I work at a bank in back office support but I also visit offices so I need to look professional (business casual to business formal) but I struggle with making sure I can wear something that can easily come off on top to pump (which usually means not a lot of dresses).